Britain: How can Corbyn's programme be implemented? 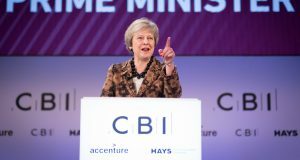 Theresa May-hem attacks Jeremy Corbyn for his “nonsensical economic… mismanagement.” This is a bit rich after Tory work and pensions secretary Damian Green admitted: “Our manifesto is not un-costed, we just haven’t costed it yet”! Seven-times Tory treasury secretary David Gauke failed to say how they would fund the NHS! But if the Tories get back in again, millions of pensioners will know the cost of the ‘dementia tax’, cuts in winter fuel allowance and the removal of the pensions ‘triple lock’ guarantee. 900,000 children from poorer families will know the cost of stopping free school dinners. And students will know the cost of thousands more pounds of debt due to tuition fee hikes. So it was politically necessary for Labour to show where the money will come from. And the manifesto costings do show that the money is there. Labour’s public spending plans of an extra £48.6 billion a year would fund significant reforms and popular policies such as the abolition of university fees, universal childcare, NHS investment, free school dinners, restoration of the education maintenance allowance and scrapping the bedroom tax. These would be paid for in the main by reversing the Tory cuts to corporation tax, income tax rises on the top 5% of earners, a ‘fat-cat’ tax on excessive pay, clamping down on tax avoidance and a ‘Robin Hood’ tax on City transactions. Shadow Chancellor John McDonnell has made clear that no-one earning less than £80,000 a year will face any tax or National Insurance increases or VAT rises. These modest tax increases on the rich and corporations’ profits are predicted to bring in an extra £52.5 billion a year which would be more than enough to cover Labour’s proposed spending promises. 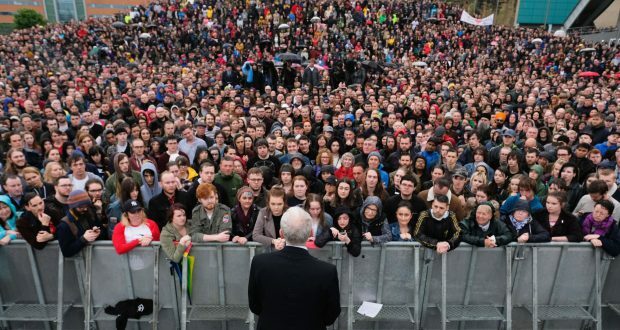 What scares the Tories and the capitalists is that Jeremy Corbyn’s anti-austerity policies reverse the neoliberal consensus between the main parties that has existed for the last 20 years. In exposing the huge inequality in society they point the finger at the greedy bankers and bosses who are really responsible for the economic crisis. Because, as the recent Sunday Times 2017 Rich List showed, there are vast amounts of wealth in Britain – but it’s all with the top 1%. There are now 134 billionaires based in Britain. The richest 1,000 individuals and families have a total wealth of £658 billion, up by 14% on last year. Many of the biggest companies like Google, Starbucks and Amazon don’t even pay the very low taxes that they are supposed to. In Tax Research economist Richard Murphy’s most recent report for PCS, the union which represents tax office staff, he estimates a £122 billion “tax gap” for 2013-14. This shortfall on the taxes that should be collected is made up of £85 billion illegal tax evasion, £19 billion tax avoidance and £18 billion uncollected taxes. HM Revenue and Customs staffing levels have nearly halved in the last ten years making it even easier for big business and the super-rich to avoid paying taxes. And even when they are caught, they negotiate sweetheart deals worth a fraction of what they owe. So it is welcome that the Labour manifesto promises more powers and staff to pursue companies and individuals who avoid tax. But will this be enough? Labour’s figures calculate getting in only an extra £6.5 billion from tax avoidance, only a fraction of the “tax gap”. 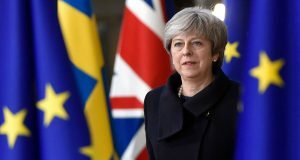 In the manifesto, they say that they have built nearly £4 billion ‘headroom’ into their calculations to allow for “additional behavioural change and uncertainty”. What this means is that John McDonnell knows that the 1% will do everything they can to not pay higher taxes, including off-shoring of companies to tax havens abroad. When Tony Blair was New Labour prime minister, he always argued against taxing the rich because they wouldn’t pay it (apart from the fact that they were all his friends and he’s become one of them). Blair shared the economic theory of supply-side economist Arthur Laffer who argued that at a certain point higher taxes lead to reduced revenue due to ‘behavioural change’ such as tax avoidance. This is what the capitalist economists and Tory press are now screaming about Jeremy Corbyn’s modest tax increases on the rich – that they won’t pay them, so Labour’s budget will be £20-30 billion short. According to them, the rich should pay less taxes to encourage them to pay at all – while the poor who can’t afford to pay the bedroom tax or council tax are dragged through court and threatened with jail! But it’s not just behavioural change that a Corbyn-McDonnell government would face. The capitalists and money markets would resort to a new ‘project fear’ of economic threats and sabotage. This would not be new for Labour governments. Harold Wilson, a Labour prime minister in the 1960s and 70s, revealed in his memoirs that in 1965 Lord Cromer, the governor of the Bank of England, demanded severe cuts in public spending and fundamental changes in Labour’s election promises. In 1976, the currency markets led a run on the value of the pound which led Labour chancellor Denis Healey to agree public spending cuts in return for an IMF loan. In both cases, Wilson and Healey acquiesced to the capitalist threats and carried out orthodox capitalist policies, a forerunner to Thatcherism. Only two years ago, we saw how the left-wing Syriza government of Alexis Tsipras in Greece capitulated in the face of the Troika’s “fiscal waterboarding” and has ended up carrying out huge spending cuts, undermining its working class support. The Socialist Party advocates radical measures to resist the inevitable capitalist sabotage. The big banks and major financial institutions should be nationalised, consolidated into a national ‘people’s bank’ and their assets put at the disposal of public investment, as well as providing cheap mortgages to homeowners and loans to small businesses. More than that, a socialist government would freeze the assets of the super-rich and biggest companies to stop them taking their loot out of the country. This has even been done by capitalist governments when it suits them. For example, after the Western imperialist-friendly dictators in North Africa were overthrown in the Arab Spring in 2011, the Swiss government ordered its banks and financial institutions to freeze $1 billion of assets of Mubarak, Ben Ali and Gaddafi. Workers and the trade unions in the finance sector, alongside the wider workers’ movement, should be given the powers to oversee financial transactions to prevent tax evasion and avoidance, off-shoring and hiding of accounts. This has happened before as well. When reactionary army officers attempted a coup in Portugal a year after the 1974 revolution, bank workers occupied the banks and physically prevented the bosses from removing incriminating documents or transferring funds abroad. They forced the government to nationalise the banks and then the insurance companies. Through nationalisation of the banks and workers’ control of the financial institutions, controls could be placed on financial transactions to prevent flights of capital as has taken place in Greece and is always threatened by capitalists faced with radical economic policies. Such measures, by opening the capitalist accounts to democratic scrutiny, would enable a Corbyn-led government to show exactly what is possible, far beyond the set amount of money that Tory and Blairite governments tell us is available. One area where Labour’s manifesto policies are not costed is their proposal for renationalisation of utilities. John McDonnell has proposed a £250 billion capital borrowing programme, a ‘national transformation fund,’ for the buyout – compensation and bond-for-shares swap – to fund taking rail, mail, water and the national grid back into public ownership, as well as other infrastructure developments. Asked to specify the cost of the nationalisations, Jeremy Corbyn answered: “We don’t know what the share price would be at the time we do it.” This strongly implies that in the case of Royal Mail, the water companies and the national grid, all shareholders would be fully compensated at the then market price. Past Labour governments’ state-capitalist nationalisations paid generous compensation to the former owners, which saddled those state industries with enormous debts from the start. The more money a Labour government has to raise from bonds and the money markets, the more they are at the mercy of the financial speculators. While it is not a principle whether compensation is paid or not, the Socialist Party advocates that it should only be paid in the case of proven need. In other words, not a penny to the fat-cats who have fleeced taxpayers’ money for years, but protection for any small shareholders or workers’ pensions funds which are financially dependent on their dividends. It’s true that renationalising the rail companies will be cheap because Labour is proposing to take lines back into public ownership as each private contract expires. But that means that after five years of a Labour government 12 of the current 23 train operating companies of franchised passenger services would still be in private hands, one until 2030! Likewise, Labour’s energy industry proposals of nationalising the electricity and transmission networks and setting up regional public energy companies will still leave the ‘big six’ energy multinationals in private hands. The danger is that, while proposing welcome and popular re-nationalisation policies, Labour’s “radical and responsible” manifesto – in its efforts to be ‘fiscally responsible’ – ends up being half-way measures that will still leave these industries at the mercy of the private sector and the money markets. The only way to make sure that the economy does not face an investment strike, stock market and currency speculation, or even more direct acts of capitalist destabilisation and sabotage, would be for a socialist government to not only nationalise the banks and public utilities, but to take all the biggest corporations into public ownership.